Ben Eastick, Marketing Director at Ragus. I am delighted to announce that our website has been shortlisted as a finalist in the B2B Marketing Awards in the ‘Best Website’ category. Created by a team of communication specialists led by design and technology agency Athlon, it is at the forefront of our marketing communications and positioning strategy for the Ragus brand. 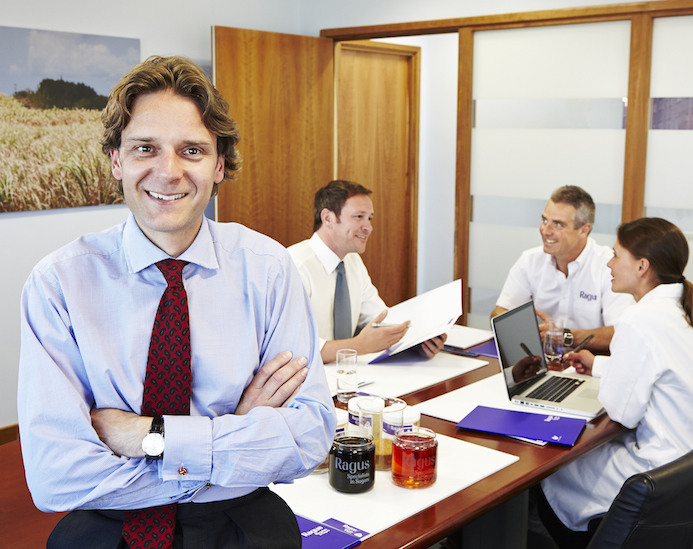 It’s structure and content further raises the awareness and perception of us as a world class manufacturer of industrial pure sugar products; all designed to connect with and engage our key audiences of customers, senior buyers and food scientists. I am very pleased that the B2B awards have acknowledged this creative presentation of our heritage and expertise. 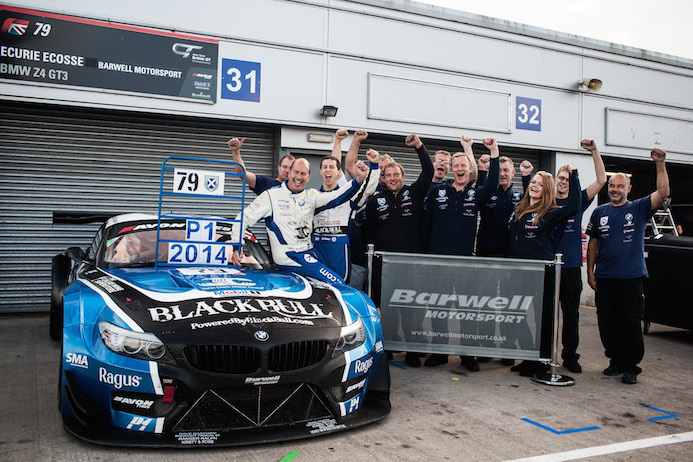 Ragus sponsored Ecurie Ecosse GT3 takes 3rd at Silverstone. 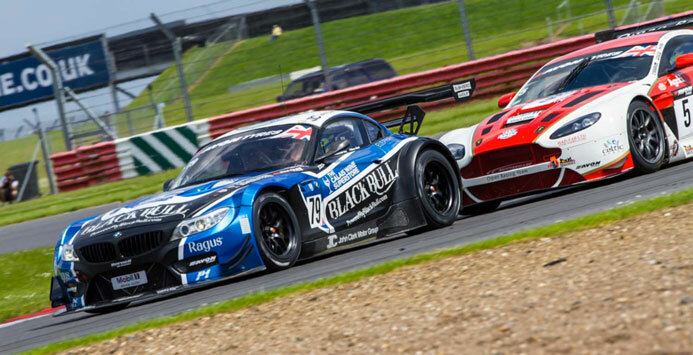 Ecurie Ecosse retained their British GT Championship points lead thanks to Marco Attard and Alexander Sims’ third podium in as many rounds after an incident-packed race at Silverstone on Sunday (June 1). 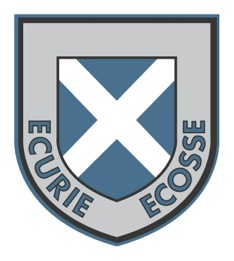 Following a win and second place in their last two domestic outgoings, the legendary Scottish squad’s chances of notching up another victory were dashed by communication issues during a Safety Car period, not to mention multiple collisions caused by over-zealous rivals. 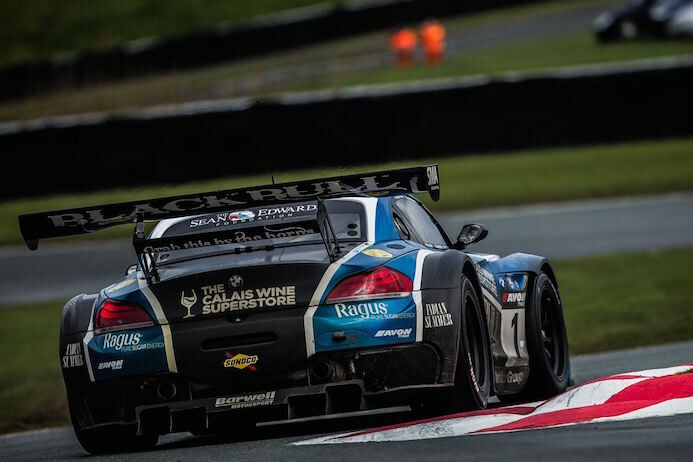 After another brilliant ‘Pro’ and ‘Am’ showing qualifying, the Barwell Motorsport-run #79 BMW Z4 GT3 clinched its third front-row grid slot of 2014 with a combined time only 0.1sec slower than pole-sitters Beechdean AMR. But their good work was almost undone at the start of Sunday’s race when the PGF-Kinfaun Aston Martin tipped Attard into a half-spin approaching turn one. Only his quick reactions saved the car from fully pirouetting, but a position was lost all the same. With the Safety Car called upon after just 30 minutes, the decision was made to pit the Scot from third. but the team’s rotten luck under caution periods this season would continue when a radio glitch ensured their call went unanswered. Sims re-emerged from the overdue stop and immediately set about doing what he does best by gaining five positions in just six laps, as well as setting the fastest time. 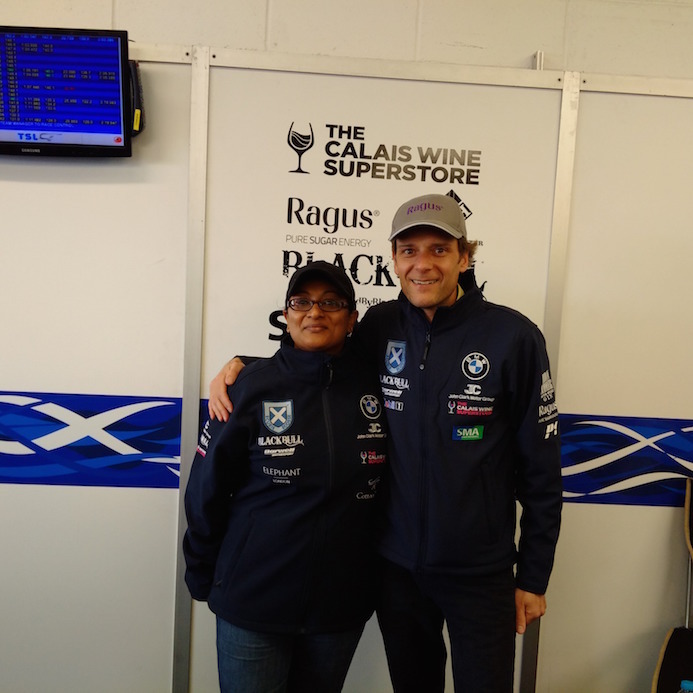 It was imperative that the BMW factory driver pushed hard if he was to negate the 15-seconds success penalty incurred for finishing runner-up at Rockingham, and proceeded to keep the hammer down for over an hour. 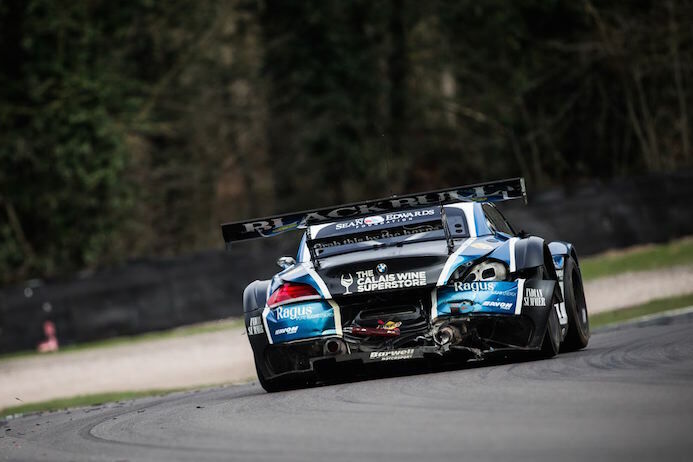 Attard then continued the good work after the penultimate stop by remaining the close proximity to fellow podium contenders Beechdean-AMR and M-Sport throughout his 50-minute stint, before Sims took over for one final time. Indeed, he was able to quickly catch and pass Jonny Adam’s Aston Martin, which had taken advantage of the 15-seconds handicap. 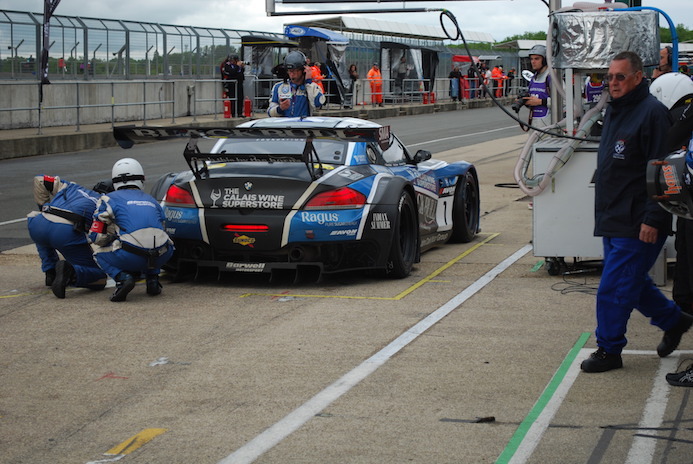 But it was Steven Kane’s Bentley that now posed the biggest threat from behind and, thanks to fresh rubber, was right on the blue and black Bavarian machine’s tail with only three laps remaining. With third place up for grabs, an over-ambitious move by Kane on the penultimate lap resulted in Sims being spun around at Stowe, denying Ecurie Ecosse a hard-fought podium. 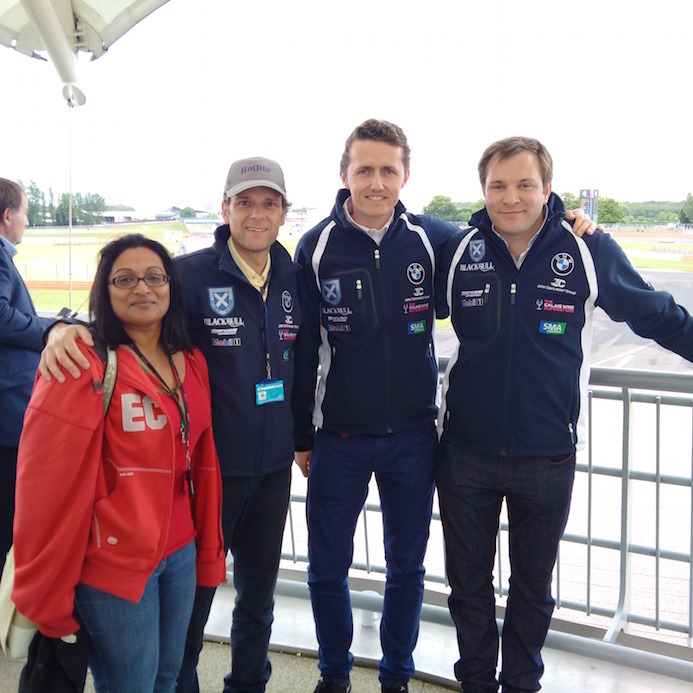 That was until a post-race investigation ruled that the move shouldn’t go unpunished, thus elevating Sims and Attard back on to the rostrum and lead of both teams’ and drivers’ championship. 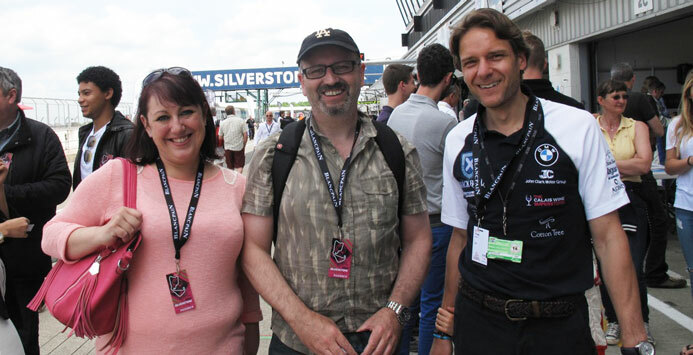 Enjoying a great day at Silverstone were two key members of the Ragus operations team. Production & Logistics Manager Tracy Trussler and Commercial Support Manager Frank O’Kelly. 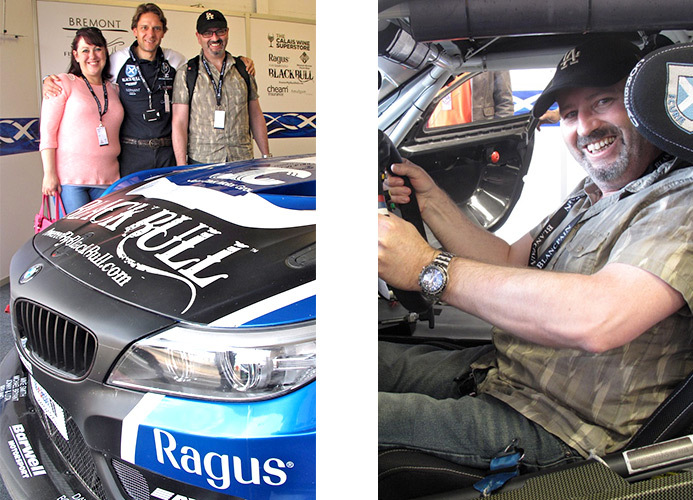 Pictured here with Ragus Director Ben Eastick viewing the competing cars in the pit lane and with the Ragus sponsored BMW prior to the start.